Worldwide vacation exchange provider, DAE, has taken home top honors at the 2017 Perspective Magazine Awards. DAE was named Best Overall Company (Less than 250 Employees) for the fourth year running and Best Customer Service for a record seventh year in a row at the Awards, held on the final night of the global timeshare industry’s GNEX Conference in San Francisco. CEO of DAE, Francis Taylor, accepted the awards on behalf of the company, which in 2017 celebrates 20 years in business. “What an honor to cement our place in the industry as the leading service provider in what is already a momentous year for our global company,” said Mr Taylor. “This year we have so much to celebrate, being our 20th year since first entering the vacation exchange market in 1997. To still be standing here, let alone leading the industry in terms of service delivery for our members and partners, is truly remarkable. 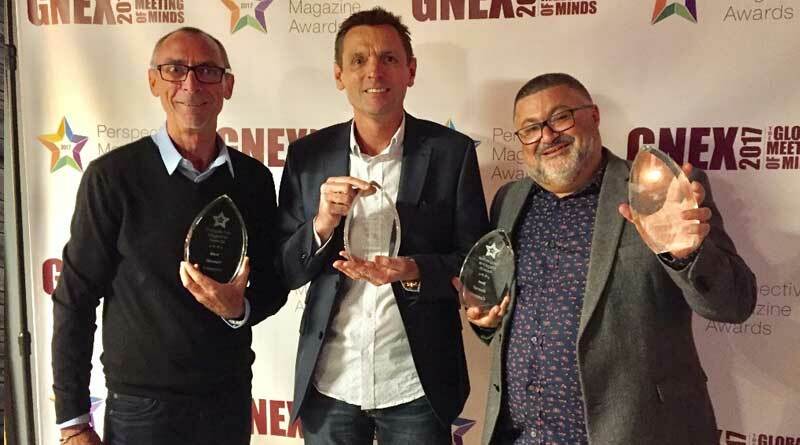 Mr Taylor congratulated GNEX organizers and Perspective Magazine for bringing the timeshare industry together for another successful conference in 2017.